One of the most common reasons why people return to drink or use drugs again after a period of sobriety is if they act out of anger. This reason is that when individuals are overcome with this emotion, they are far less able to make good decisions. There are many stories of people losing their temper and the next thing they know they are sitting drinking in a bar and full of regret. It is vital that you are able to gain control over your anger in order to be able to protect your sobriety. There are many reasons why individuals in early recovery could struggle when it comes to managing anger. It is usual to develop anger management strategies in early adulthood but those caught up in addiction can miss this important stage of development. It is also the case that those having suffered due to substance abuse can be full of resentment about all they have lost, which can further trigger outbursts of anger. People behave badly when angry, but it does not usually affect their life too much. If you are in early recovery, one anger outburst could be enough to put you back to square one. It is therefore vital that you take steps to bring this emotion under control; what follows are just a few suggestions on how you can do this. If you have problems controlling your anger, it is probably because you have not had the chance to develop appropriate tools for managing it. A solution, then, would be for you to attend an anger management course. This would give you the opportunity to develop all the skills you need so that you would never feel out of control again. If you enter a rehab programme, you will usually get anger management training as part of this. Once you are caught up in an anger outburst, it will be too difficult for you to think rationally. This is why it is so important to have a plan in place for how you are going to react in this situation. 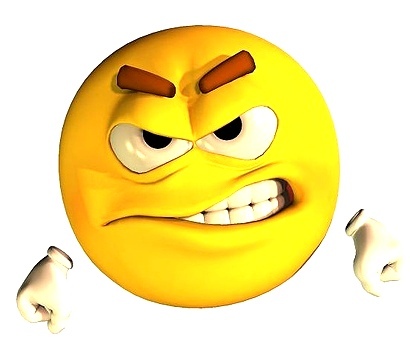 This means that once anger strikes you will have a list of actions to take that would defuse the situation. This could include things like calling your sponsor, therapist, or close friends. You need to create this plan now so that it is there later should you need it. This inability to deal with anger is something that many individuals have needed to overcome in recovery. You can be inspired and learn effective strategies by spending time with those who have already dealt with the problem. This type of support will also mean you feel less alone, allowing you to have people to turn to when you are in the midst of a red storm. Avoid taking action on any ideas that occur while you are in the middle of an anger outburst. If drinking or using drugs again feels like the right thing to do now, you need to wait until after your emotions have calmed down. Just do not rush into doing anything – by delaying, you buy yourself some time, so you can decide if this is what you really want. Make sure you add this to your plan for dealing with this type of outburst. One of the benefits of learning and regularly practicing meditations is that this can make it much easier for you to deal with your emotions. Mindfulness is a particularly useful practice for this because it allows you to see that your emotions are like clouds passing through the sky. As long as you do not resist them, all emotions will past. You may find it almost impossible to meditate when you are angry, but you can concentrate on your breathing, which will help calm you down. Sometimes, by just focusing your attention on the physical sensations of anger in your body and not the story explaining the anger in your brain could help defuse the situation. Relationships can be destroyed because one person spoke their mind while angry. If you find yourself become angry with someone else, you need to be more careful about what you say. One option would be to always count to ten before you speak. This way you would be better able to judge the likely consequences of what you are about to say. If you really feel that you cannot hold your tongue around this person, it might be best to excuse yourself completely from the conversation and go for a walk. If you have an overly critical inner soundtrack, it can mean that you will more easily become angry. This negativity means you bully yourself mercilessly, making it also likely that you take your bad mood out on others. Developing some self-compassion will greatly reduce your inner levels of anger and resentment, also making it less likely that you become angry with others. There are many techniques for developing self-compassion but, if this is a real problem for you, it may be best to speak to a therapist. There will almost certainly be specific triggers that have a tendency to set you off. If you know what these triggers are, it will be easier for you to avoid them. You can also create strategies for dealing with these individual triggers as these arise. If you are physically unfit, it will affect your mood, increasing the likelihood that you experience negativity. Even just 30 minutes of exercise each day can make a huge difference to your ability to manage anger. Writing things down is an excellent way to vent and examine the driving force behind your anger. This work will allow you to see patterns, and the mere act of writing can defuse the situation as well. Instead of losing your temper on somebody else, you can write what you think in your diary instead – this would be far more productive. Even small niggles can seem incredibly threatening in early recovery, therefore it is important to get things into perspective. Is the thing you feel so angry about now likely to be so important to you in a few months or years? Sometimes it also helps to remember that you are just one human in billions on the planet, so your problems are insignificant in the grand scheme of things. You will often need to explain to others why you feel angry; however, it is best to wait until you feel calmer before you do this. If you say something during the height of your anger, you are likely to say the wrong things, which will cause problems for you.